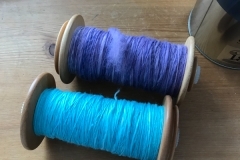 I spun the whole bump of roving into one single, and then plied it by matching the two ends (beginning & end). 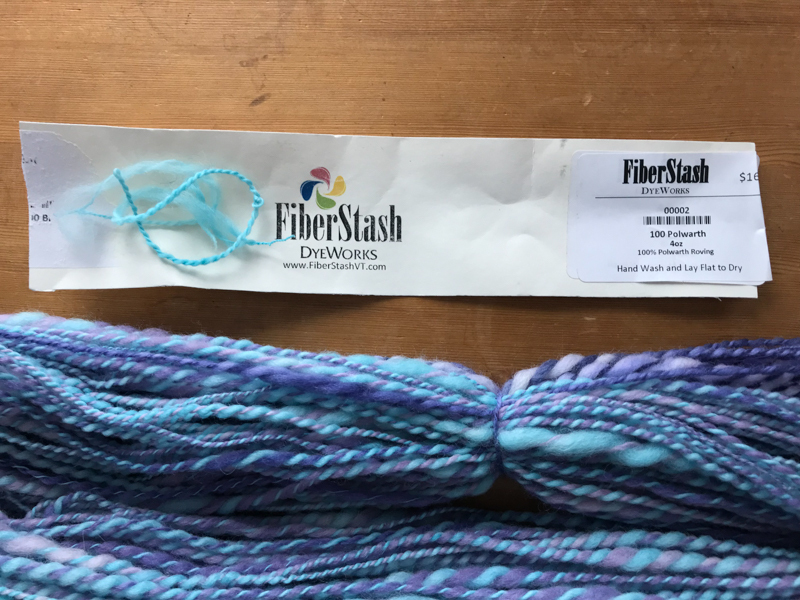 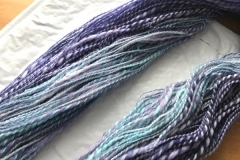 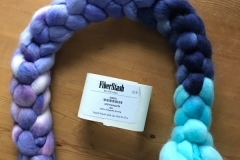 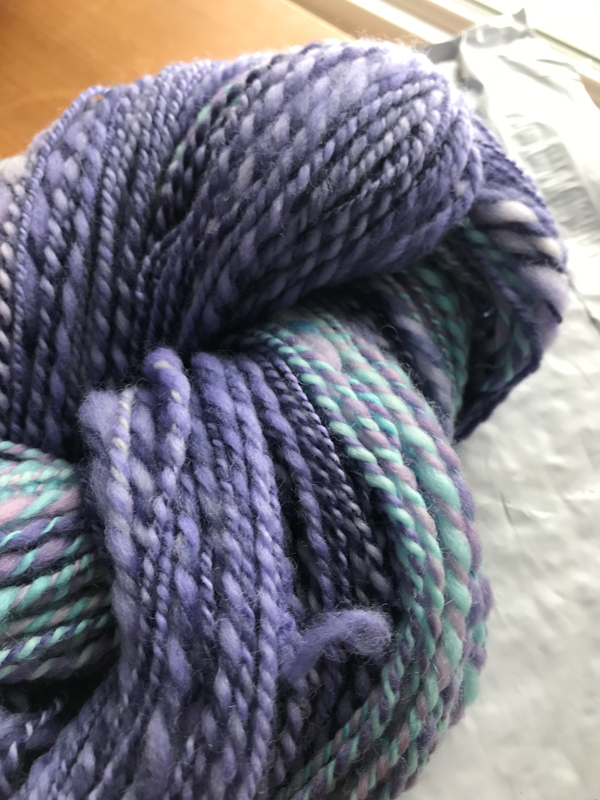 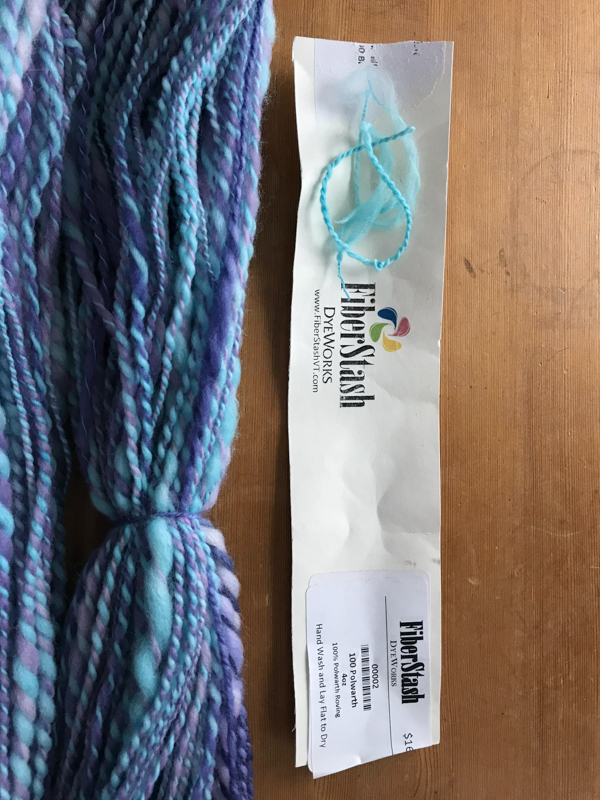 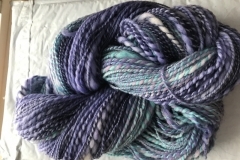 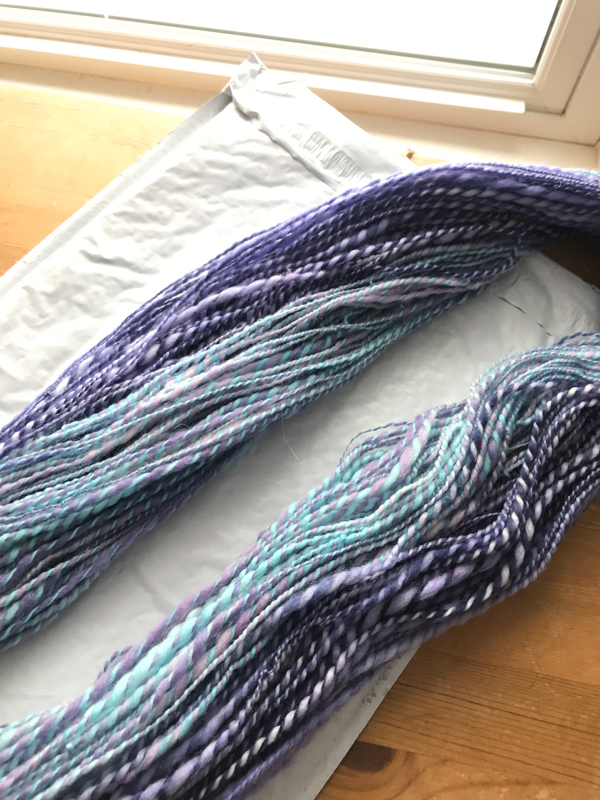 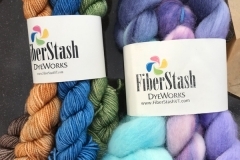 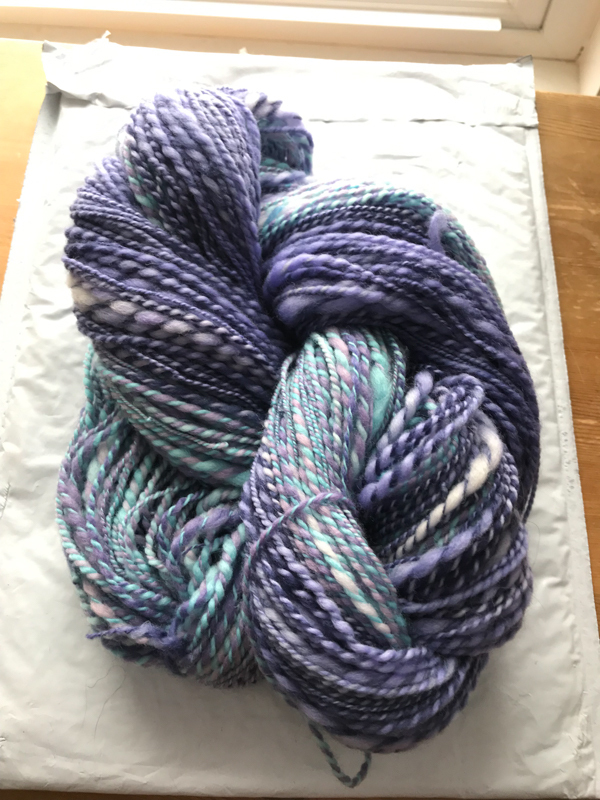 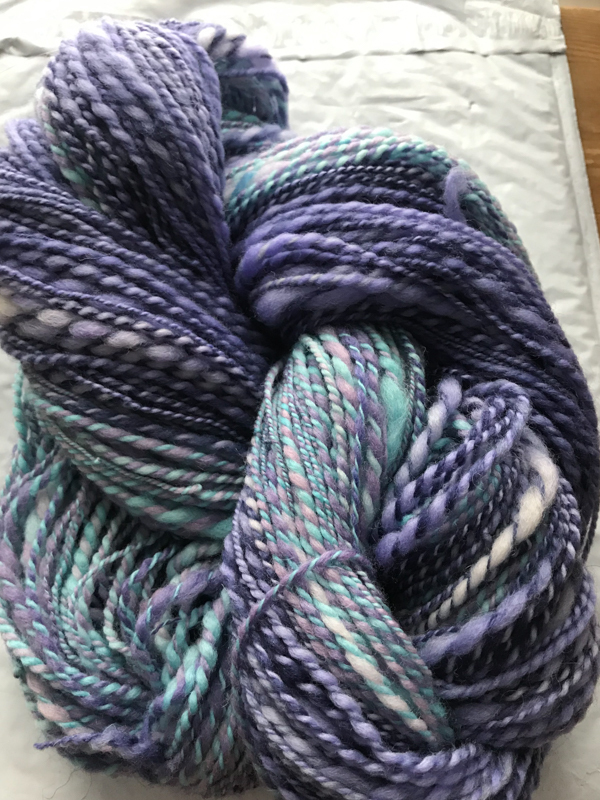 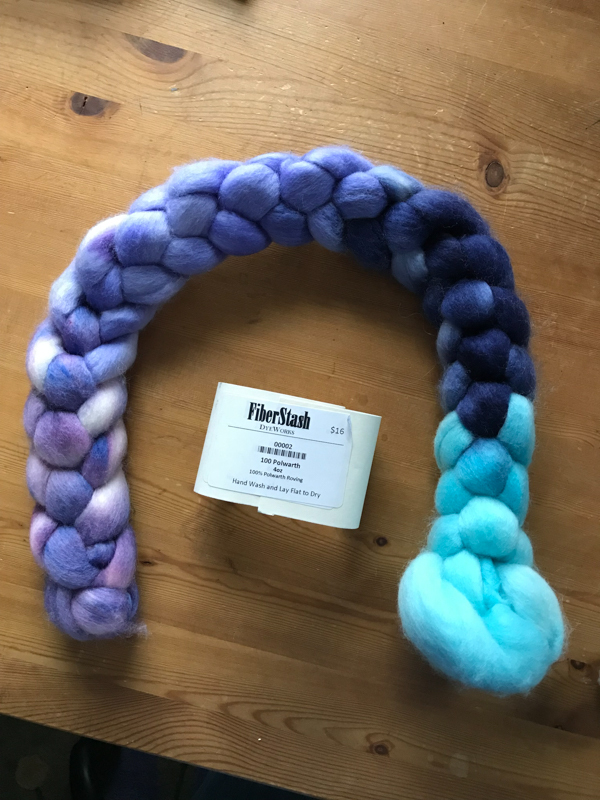 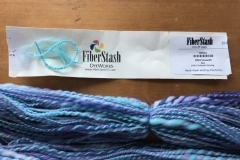 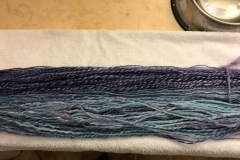 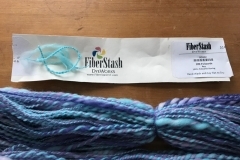 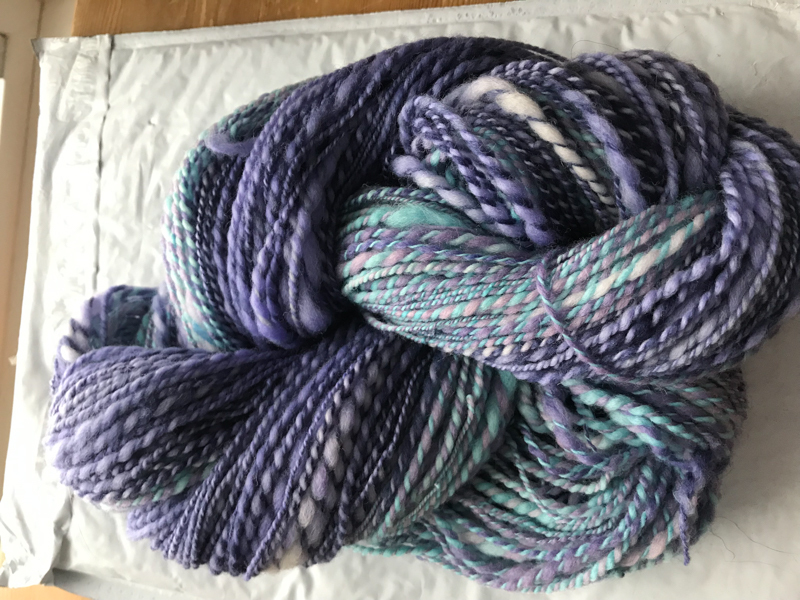 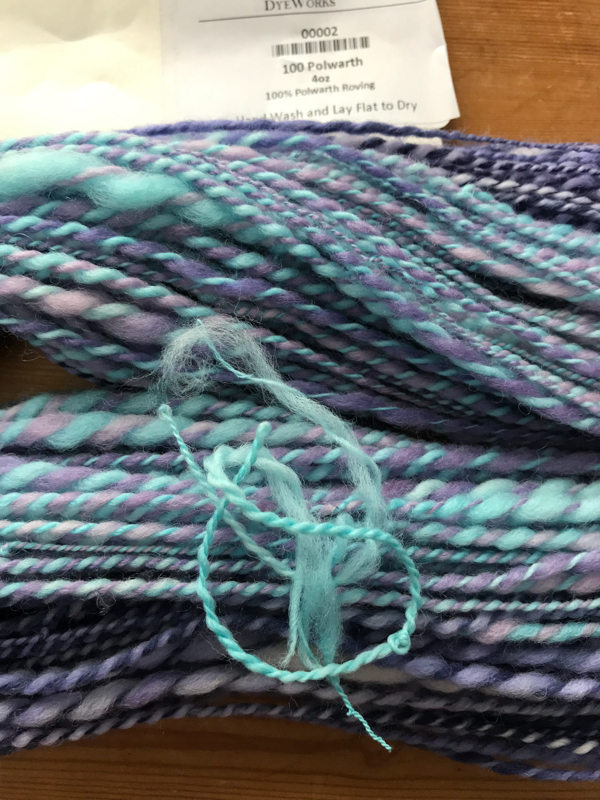 The result is a purple/lilac strand that runs throughout the skein, with a gradient of turquoise to dark blue to lilac as the second strand. 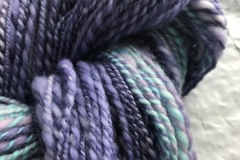 Should be an interesting overall gradient effect when knit. 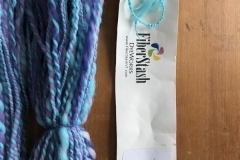 It’s nice and squooshy! 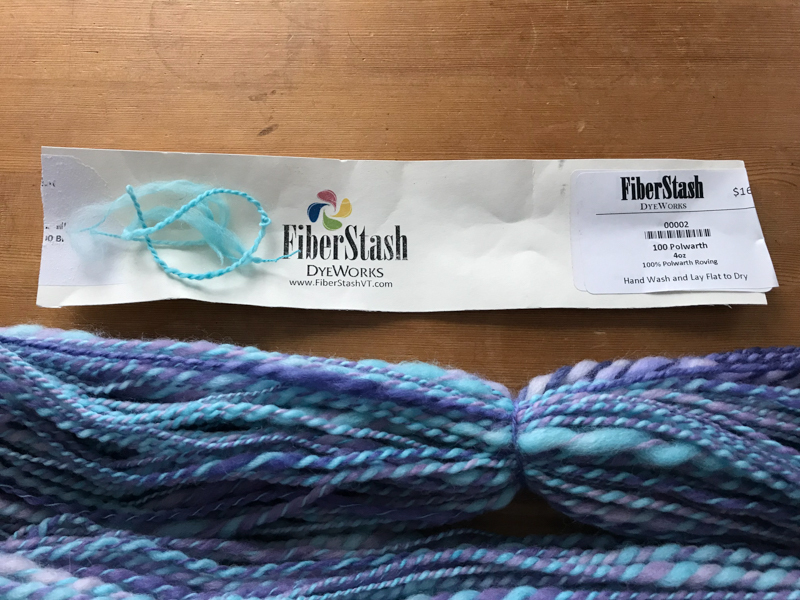 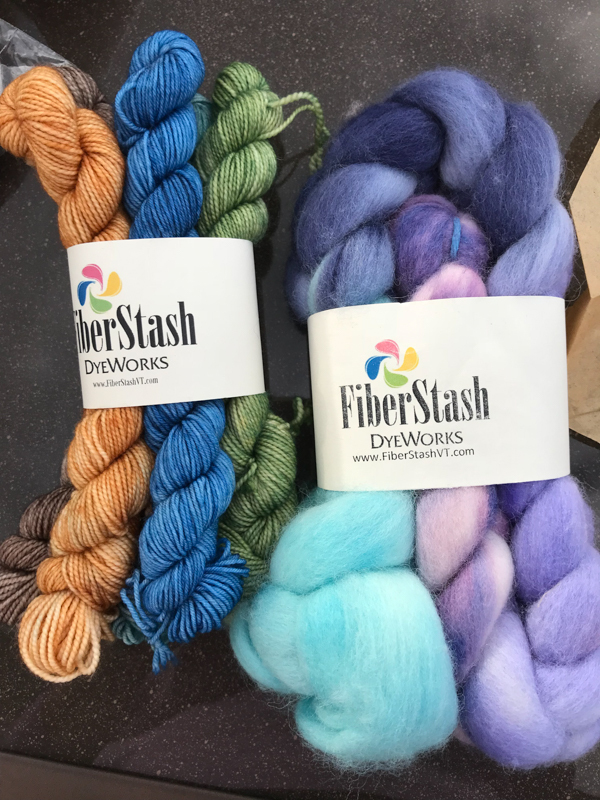 But, overall, considerably heavier weight yarn than I was aiming for, and still (again) pretty wild variations from thick to thin. 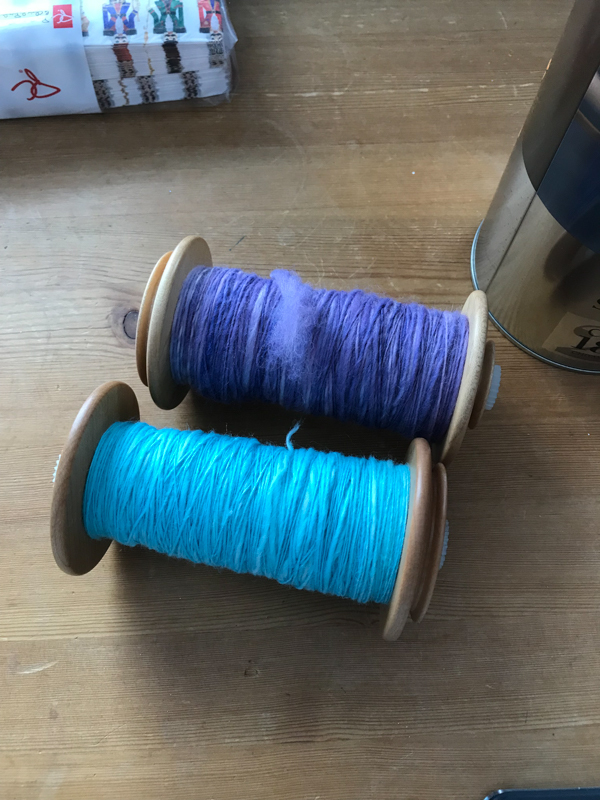 This was in spite of my effort to save and refer to a ply-back sample as I went. 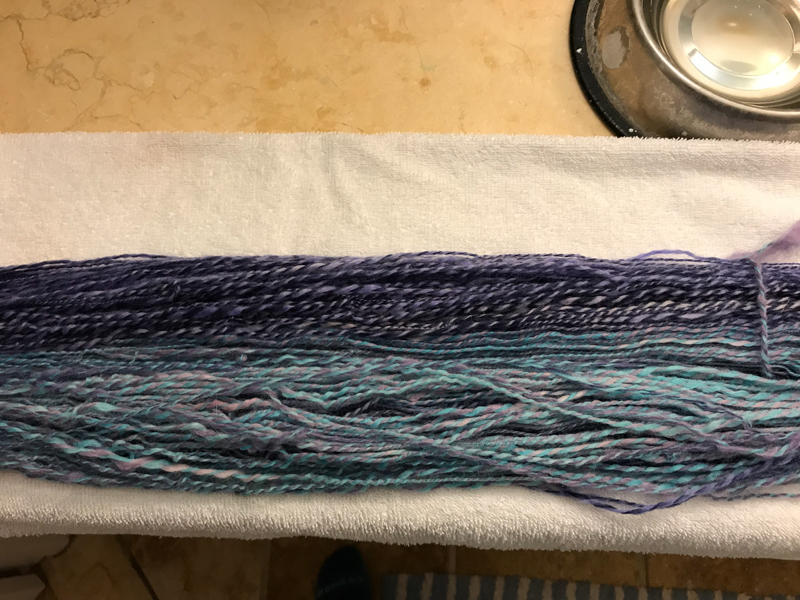 I’m chalking it up to the fact that the project was on hold for a long while (a couple of months, as the holiday season got busy), and then I was in a rush to finish. 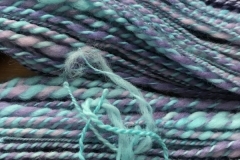 Oh, and “tip-to-tail” because that’s how I plied the single. 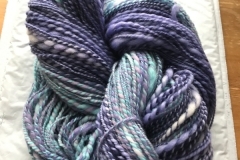 “Unicorn” because somehow the colours seemed to evoke that kind of fantasy creature. 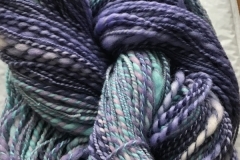 On the right -- the roving as purchased.